I went to a BBQ today with my colleagues from work and their families. Of course, a BBQ in Seattle before May or June means you might be inside due to rain (which we were). Basically, if you get hurt it's your own fault -- and don't even think of suing us. My favorite is "No unevenly matched players." 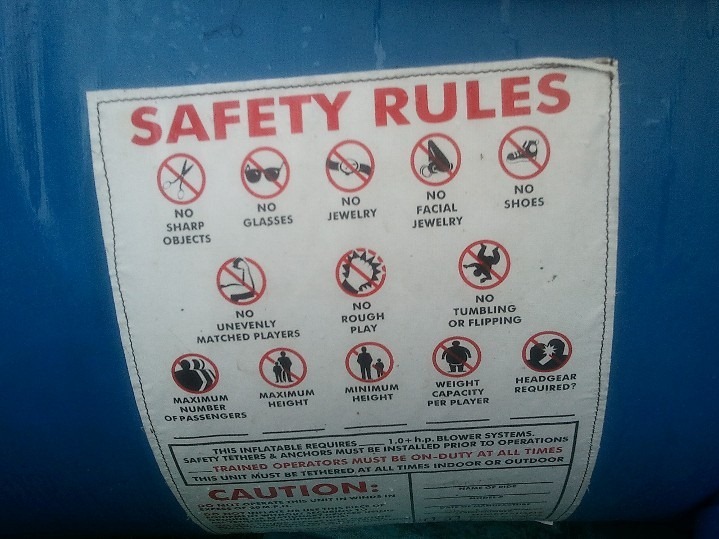 The thing you can't see is the caution about operating the bouncy house on a wet surface -- because, you know, you could get electrocuted. 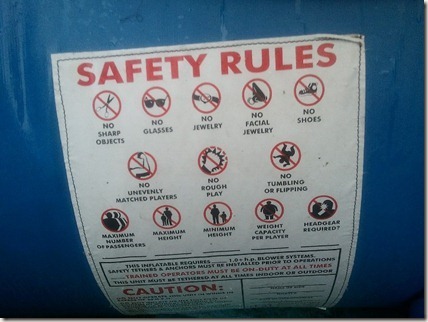 I guess the bouncy house company ignored that one. 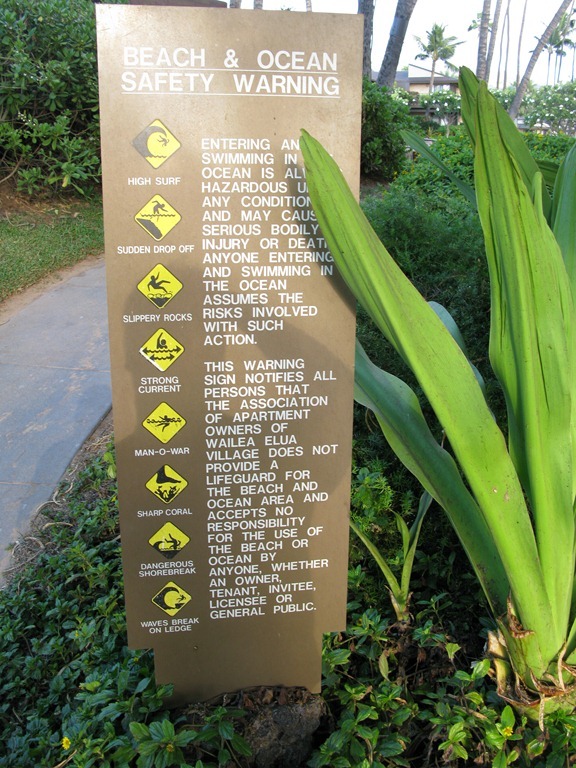 These rules reminded me of a sign I once saw on Maui in 2011 that not only warns you of all the dangers in the ocean -- but absolves the surrounding businesses of any legal action. 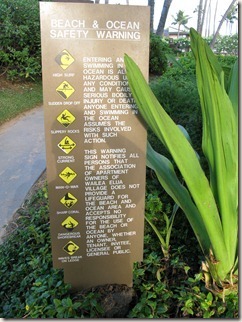 If you die, don't say we didn't tell you to be careful.